Sexual violence occurs at colleges and universities across the country. Professionals university-wide are working collaboratively to ensure the campus community is aware of how sexual violence impacts our community. When we talk about what you can do to stop sexual violence, we often use the word prevention. While we would all like to prevent sexual violence, it is helpful to understand the difference between prevention and risk reduction. Prevention is stopping the behavior. Risk reduction is actively taking steps to reduce the likelihood a behavior will happen. People can prevent sexual assault by not sexually assaulting someone else, or by intervening when an acquaintance is potentially going to engage in non­consensual sexual behavior. Risk reduction is making decisions that will increase the odds of keeping you and your friends safe, like staying in groups when you're going out, drinking responsibly and communicating clearly. Regardless of what someone is wearing or how much alcohol they drink, that person is not asking to be assaulted, nor are they the cause of the assault. Preventing sexual violence is only accomplished by teaching potential perpetrators not to commit the crime. Marquette offers bystander intervention training for student leader groups interested in learning how they can stop sexual violence from happening. More groups will be trained this year. To find out about getting training for your student organization, contact Sara Johnson at (414) 288-5778. At the start of each school year, incoming students receive programming to become aware of how they can reduce their risk and prevent sexual assault. 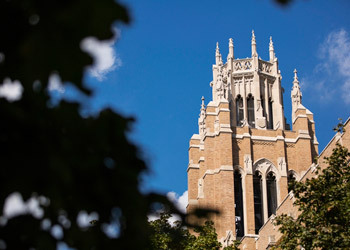 The Marquette University Medical Clinic provides health-related programming to the campus. To learn more about Marquette’s prevention programming or to participate in programming opportunities, contact Katy Adler, coordinator, Advocacy Services, and Sexual Violence Prevention and Education.